Leighton studied in Paris between 1855-8. Leighton modified his style, producing a group of more overtly Classical paintings redolent of the nudes of Ingres and contemporary French Classical art. 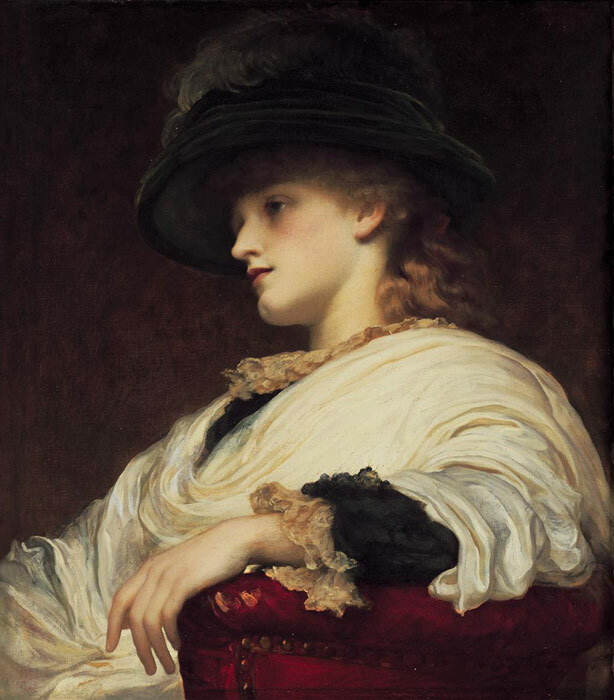 In addition Leighton painted several portraits , like this Phoebe and 'fancy pictures' that evoke the richness of Venetian sixteenth century art and in particular the pictures of the Veronese. SPECIAL NOTE : The painter will make the reproduction as close to the original oil painting as possible. If you want your painting to alter from this likeness, please email us and " Phoebe " will be reproduced according to your special requirements.